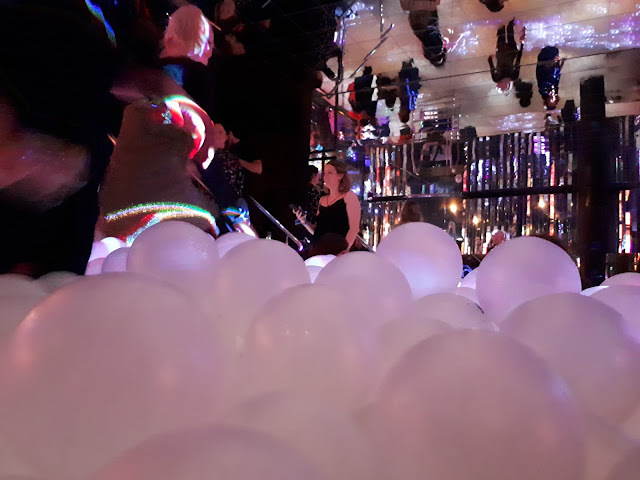 I recently for a couple of hours, became a big kid; a friend had wanted to celebrate a recent event in her life and had wanted to celebrate in the most fun way possible. 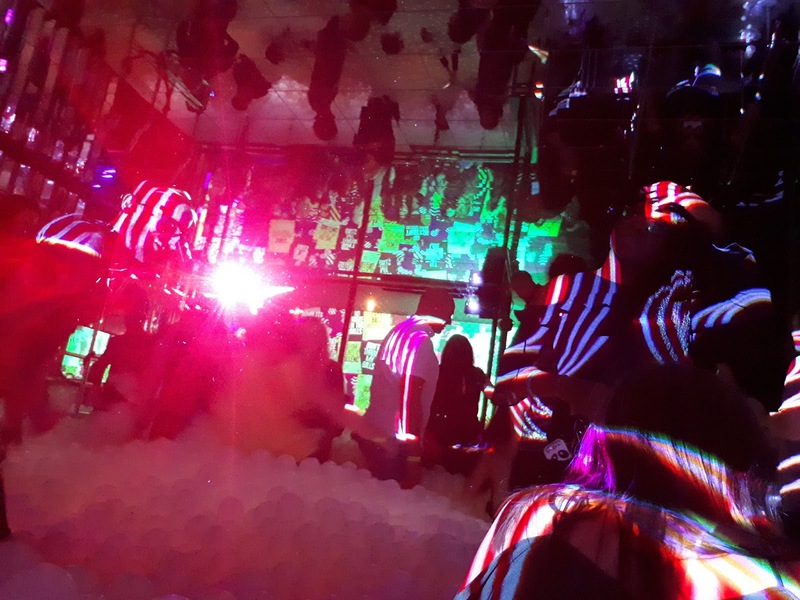 Ballie Ballerson is an “adult playground” in the heart of Shoreditch (of course) – a ball pit with a bar. 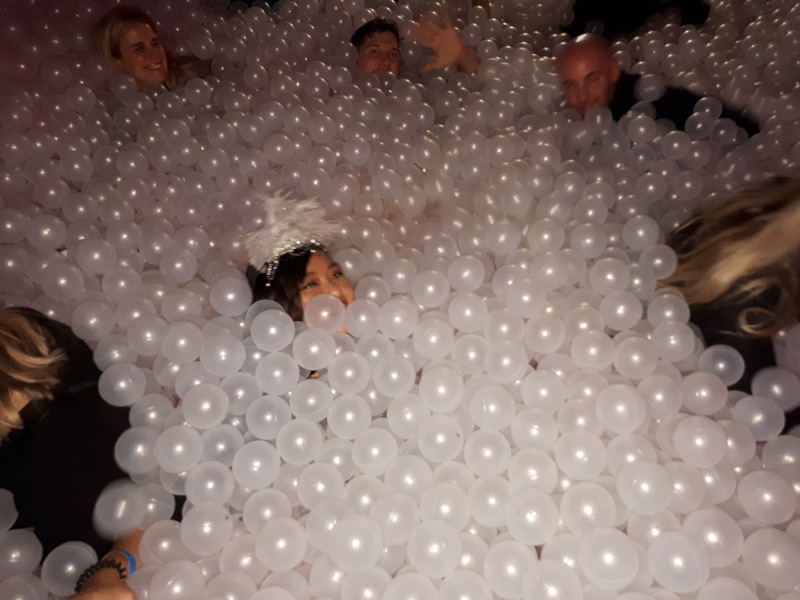 At Ballie Ballerson grown folk can revert to childlike behaviour and play in a ball pit. Sounds simple? it is. For around £16.50 you get to spend 2 hours in the ball pit; after your time is up you can stay as long as you want at the bar. I'm partial to a drink or two, but I was all about the ball pit! 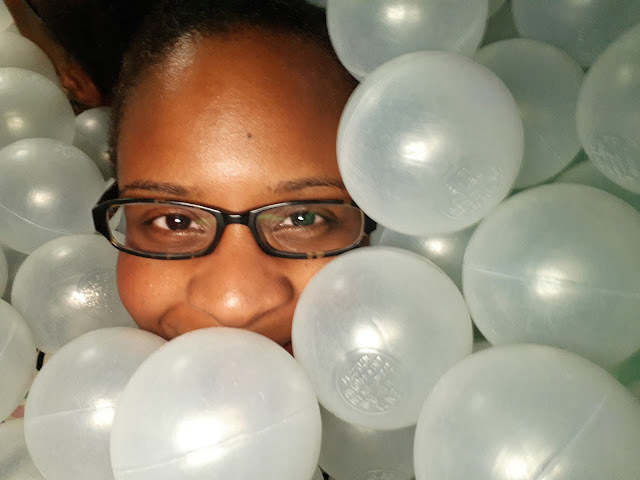 I had a great time; I full embraced the ball pit, got balls deep and indulged my inner child! I couldn't tell you what the drinks were like at the bar because I spent almost all of my time in the ball pit. A friend accidentally knocked my phone out of my hand with a ball when I was trying to take a picture. In my phone cover was my gym membership, parkrun code, my debit card and a £20 note…. For about 5 minutes I was in a mini state of panic; however with the help of my friends, all items were located. After that mini drama, I was back to having fun and holding my phone a lot more securely. Book well in advance. As you can imagine, this venue is very popular. Ballie Ballerson says that it holds a few tickets to the ball pit on the door, but it is wise to book in advance especially if you want to attend with a group. Dress casual; the ball pit is not for pretty dresses and short skirts! If Ballie Ballerson is part of your night out in Shoreditch, then skinny jeans with a nice top and flats would work nicely. 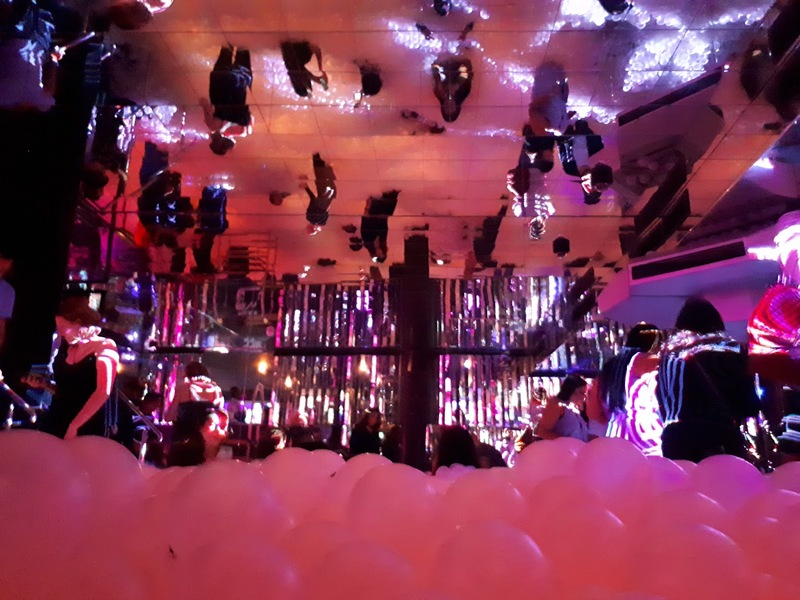 The venue has a cloakroom so you can bring heels for later on and swap them after your time in the ball pit. Ballie Ballerson does not allow open toe shoes and heels are strongly discouraged in the ball pit. Bring minimal valuables to the pit and try not to drop your phone; let my story above be a tale of caution. looking back, I was lucky my phone didn't get smashed in all the fun chaos. Make sure your phone is on loud/strong vibrate just in case you happen to lose it. Beware the lights - there is strobe lighting around the pit, so if you have negative reactions to such, it may not be for you. Throwing balls are pretty harmless, but dashing balls are not pleasant. Know your strength and remember that it is supposed to be safe space for all. Don't turn the balls into a weapon. Be in the moment. I saw a couple with a professional camera attempting to take pretty pictures…. Needless to say I threw a few balls their way! By all means, take a few pictures and boomerangs, but remember to enjoy the ball pit too. Eight year olds would be making the most of their time in the pit and so should you!